Collectors worldwide acquire certificates from bankrupted companies involved in scandals and frauds. 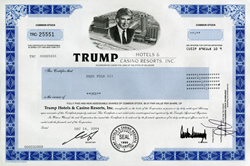 These companies include Worldcom, Global Crossing, Trump Hotels and Casino Resorts, XO Communications Continental Illinois Corporation, Countrywide, Enron Corporation, Trump Taj Mahal Funding, Inc., United States Radium,, Washington Mutual, Equity Funding, Washington Washington Public Power Supply System Bond ( WPPSS aka Whoops ), Fast Eddie, and many others. 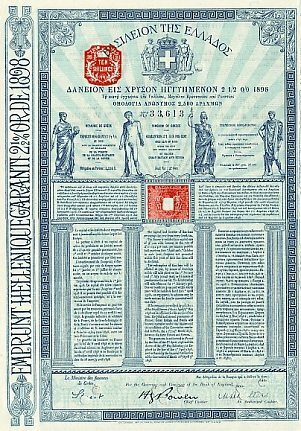 Scripophily.com®, the Internet’s largest buyer and seller of collectible stock and bond certificates, is offering original stock certificates from companies involved in scandals, bankruptcies, and frauds. 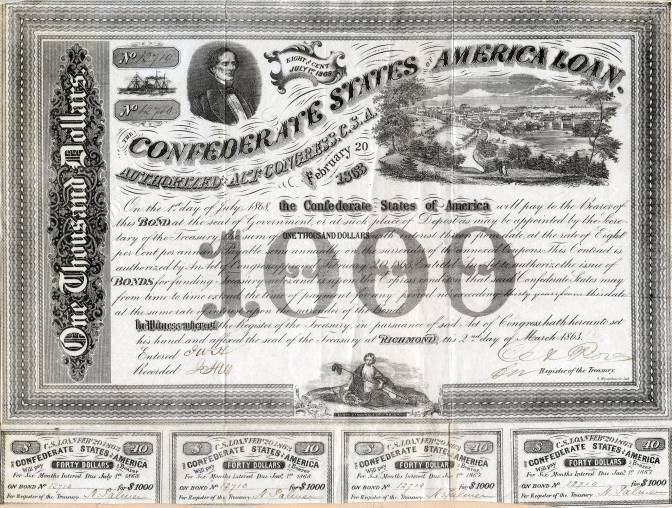 Collectors like to acquire these certificates because they remind them of the downside of investing in the stock market. Also, many times these certificates are framed and hung in an office which and makes a great conversation piece. According to Bob Kerstein, Founder of Scripophily.com, "Each certificate is a different piece of history. It describes the company, the type of instrument (usually stock or bond), the year issued, printed signatures of officers and much more." "They also make a great reminder to hand down to future generations," Kerstein added. Due to the computer age, more and more stock and bonds are issued electronically which means fewer paper certificates are being issued. As a result, demand for paper certificates is increasing while supply is decreasing. 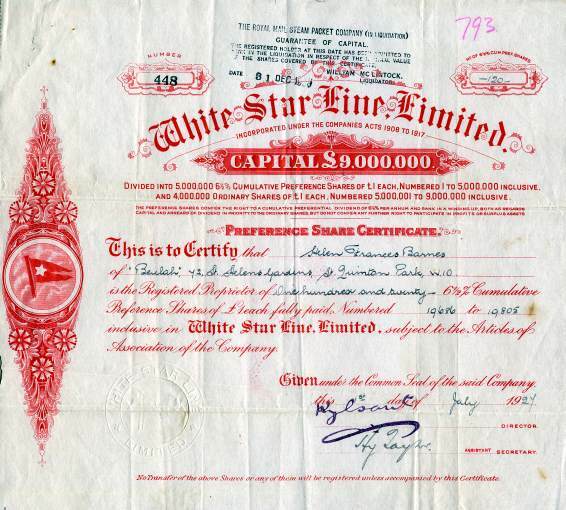 Scripophily (scrip-ah-fil-ly) is the name of the hobby of collecting old stock and bond certificates. 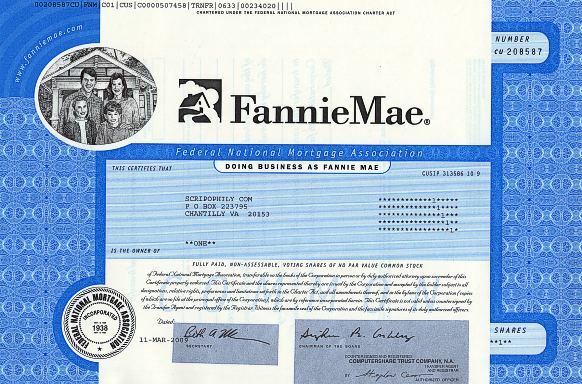 Certificate values range from a few dollars to more than $500,000 for the most unique and rare items. Tens of thousands of Scripophily buyers worldwide include casual collectors, corporate archives, business executives, museums and serious collectors. Due to the computer age, more and more stock and bonds are issued electronically which means fewer paper certificates are being issued. As a result, demand for paper certificates is increasing while supply is decreasing. 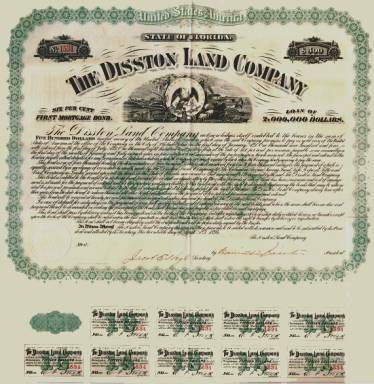 Scripophily.com - The Gift of History is the Internet's leading buyer and seller of collectible stock and bond certificates and have items on loan for display in the Smithsonian's Museum of Financial History in New York. Our company has been featured on CNBC, USA Today, Associated Press, Reuters, Nightline, Today Show, Baltimore Sun, and Washington Post and in many other media publications. 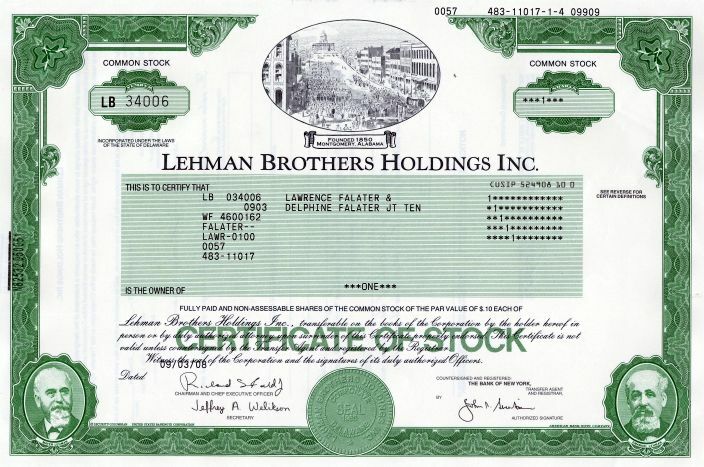 The company also offers the World’s #1 old stock research service at OldCompany.com and offers high resolution scans for publications. Scripophily.com has over 17,500 selections on its website. Scripophily.com / Old Company Research Service, founding member of the Old Stock Exchange, is the successor company to all material published by the Marvyn Scudders Manuals, the Robert D. Fisher Manuals, R.M. Smythe Stock Research Service, and the Herzog & Co., Inc. obsolete research services. These services have been performed continuously for over 136 years since 1880. We are the leading provider of authentic stock certificates, autographs, and old company stock research services. Scripophily.com and Old Company Research Services was founded by Bob Kerstein (Bob.com). Bob is a CPA and CGMA, and has more than 40 years of senior management experience in the Cellular, Cable TV, Satellite, Internet, Professional Sports and Entertainment Industries. Bob is also the President of the Professional Scripophily Traders Association (PSTA).